3700801 155 JCB 155 Skid steer loader. Spare Parts Catalog. Service (workshop) Manual. Operator's Instruction Manual. 3700802 225 JCB 225 Skid steer loader. Spare Parts Catalog. Service (workshop) Manual. Operator's Instruction Manual. 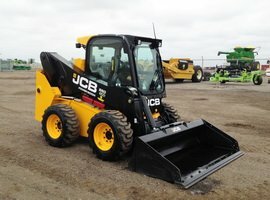 3700803 260 JCB 260 Skid steer loader. Spare Parts Catalog. Service (workshop) Manual. Operator's Instruction Manual. 3700804 280 JCB 280 Skid steer loader. Spare Parts Catalog. Service (workshop) Manual. Operator's Instruction Manual. 3700805 300 JCB 300 Skid steer loader. Spare Parts Catalog. Service (workshop) Manual. Operator's Instruction Manual. 3700806 330 JCB 330 Skid steer loader. Spare Parts Catalog. Service (workshop) Manual. Operator's Instruction Manual. 3700807 225T JCB 225T Skid steer loader. Spare Parts Catalog. Service (workshop) Manual. Operator's Instruction Manual. 3700808 260T JCB 260T Skid steer loader. Spare Parts Catalog. Service (workshop) Manual. Operator's Instruction Manual. 3700809 300T JCB 300T Skid steer loader. Spare Parts Catalog. Service (workshop) Manual. Operator's Instruction Manual. 3700810 320T JCB 320T Skid steer loader. Spare Parts Catalog. Service (workshop) Manual. Operator's Instruction Manual. 3700811 MC110C JCB MC110C Skid steer loader. Spare Parts Catalog. Service (workshop) Manual. Operator's Instruction Manual. 3700812 MC115C JCB MC115C Skid steer loader. Spare Parts Catalog. Service (workshop) Manual. Operator's Instruction Manual. 3700813 MC125C JCB MC125C Skid steer loader. Spare Parts Catalog. Service (workshop) Manual. Operator's Instruction Manual. 3700814 MC135C JCB MC135C Skid steer loader. Spare Parts Catalog. Service (workshop) Manual. Operator's Instruction Manual. 3700815 MC155C JCB MC155C Skid steer loader. Spare Parts Catalog. Service (workshop) Manual. Operator's Instruction Manual. 3700816 MCT110C JCB MCT110C Skid steer loader. Spare Parts Catalog. Service (workshop) Manual. Operator's Instruction Manual. 3700817 MCT125C JCB MCT125C Skid steer loader. Spare Parts Catalog. Service (workshop) Manual. Operator's Instruction Manual. 3700818 MCT135C JCB MCT135C Skid steer loader. Spare Parts Catalog. Service (workshop) Manual. Operator's Instruction Manual. 3700819 MCT145C JCB MCT145C Skid steer loader. Spare Parts Catalog. Service (workshop) Manual. Operator's Instruction Manual. 3700820 Robot 150 JCB Robot 150 Skid steer loader. Spare Parts Catalog. Service (workshop) Manual. Operator's Instruction Manual. 3700821 Robot 160 JCB Robot 160 Skid steer loader. Spare Parts Catalog. Service (workshop) Manual. Operator's Instruction Manual. 3700822 Robot 165 JCB Robot 165 Skid steer loader. Spare Parts Catalog. Service (workshop) Manual. Operator's Instruction Manual. 3700823 Robot 170 JCB Robot 170 Skid steer loader. Spare Parts Catalog. Service (workshop) Manual. Operator's Instruction Manual. 3700824 Robot 180 JCB Robot 180 Skid steer loader. Spare Parts Catalog. Service (workshop) Manual. Operator's Instruction Manual. 3700825 Robot 180T JCB Robot 180T Skid steer loader. Spare Parts Catalog. Service (workshop) Manual. Operator's Instruction Manual. 3700826 Robot 185 JCB Robot 185 Skid steer loader. Spare Parts Catalog. Service (workshop) Manual. Operator's Instruction Manual. 3700827 Robot 190 JCB Robot 190 Skid steer loader. Spare Parts Catalog. Service (workshop) Manual. Operator's Instruction Manual. 3700828 Robot 1105 JCB Robot 1105 Skid steer loader. Spare Parts Catalog. Service (workshop) Manual. Operator's Instruction Manual. 3700829 Robot 1110 JCB Robot 1110 Skid steer loader. Spare Parts Catalog. Service (workshop) Manual. Operator's Instruction Manual. 3700830 Robot LP JCB Robot LP Skid steer loader. Spare Parts Catalog. Service (workshop) Manual. Operator's Instruction Manual.